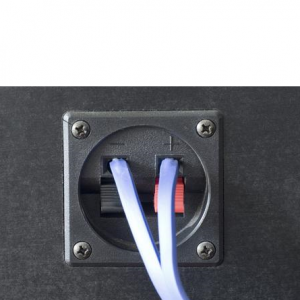 Audio/video installations in commercial settings often require plenum-rated cabling. This wire is constructed from two color-coded 18 AWG twisted pair copper cables (one red, one black) to ensure easy identification. The speaker wire is twisted within a naturally colored jacket for easier pulling and installation. Each conductor is made from seven strands of 26 AWG copper wires and features 100% foil shield with stranded copper drain wire for easy grounding connections. CMP rating meets building code requirements to run within walls and air plenums without the need for conduit.